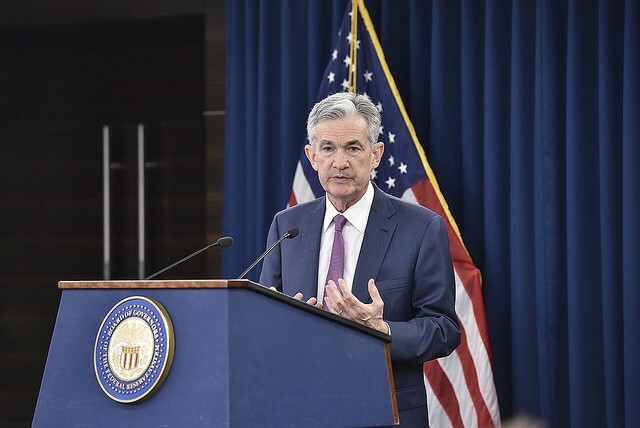 FOMC Chairman Powell answers a reporter’s question at the June 13, 2018 press conference. In addition to moving to four rate hikes this year and raising the 2019 interest rate forecast in the projections, we have the removal of the forward guidance on keeping rates “below long run levels for some time” and the remaining language on “gradualism” in normalisation has been weakened. The Fed sounds more bullish on the economy and has noted the decline in the unemployment rate. As we discussed in our June 2018 Global Economic Outlook, the growing imbalance in the labour market means that it is only a matter of time before sharper upward pressures on wages start to be seen. We see unemployment falling to 3.4 per cent in 2019 which would be the lowest since 1953.